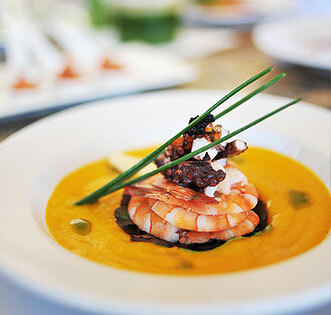 We offer a selection of delicious appetizer welcome packages with varied gourmet options and beverages. Each package serves 4 and includes 1-hour butler services. Angus beef carpaccio with a maple-chipotle glaze, julienne of jicama, arugula and red onion. Oven roasted tomato and blue cheese pate with pecans. * All welcome packages are based on 4 people. An additional $20 per trip delivery fee applies to all pre-stocking services ($50 delivery fee for East Cape/San Jose villas) and is subject to 16% IVA Mexican sales tax and 15% administration fee. Additional service fees for New Years Eve/Day and East Cape/San Jose villas apply. Drop off service only for Christmas Eve/Day. Customized menus are available. Contact your Cabo specialist for options and pricing. Allergy-free menus available, contact us for more information! Note: All welcome package pricing based on 4 people. An additional $20 per trip delivery fee applies to all pre-stocking services ($50 delivery fee for East Cape/San Jose villas) and is subject to 16% IVA Mexican sales tax and 15% administration fee. Tax, fees and gratuities not included in listed pricing. There will also be an additional pre-stock option service charge for Villa Cerca del Cielo. 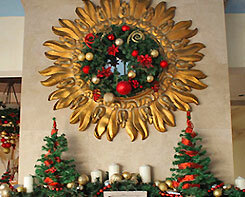 Additional service fees apply for New Years Eve/Day and East Cape/San Jose villas. Same-day orders unavailable. 72-hour notice (business days) recommended to ensure availability of prestock items. Orders must be placed at least 24 hours in advance on business days (M-Sat) with earliest delivery available the next business day. Allergy-free menus available, contact us for more information. Must be 21+ years to order. Limit one bottle of hard alcohol (40+% alcohol) per person. Note: An additional $20 per trip delivery fee applies to all pre-stocking services ($50 delivery fee for East Cape/San Jose villas) and is subject to 16% IVA Mexican sales tax and 15% administration fee. Tax, fees and gratuities not included in listed pricing. There will also be an additional pre-stock option service charge for Villa Cerca del Cielo. Additional service fees apply for New Years Eve/Day and East Cape/San Jose villas. 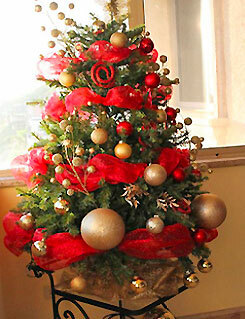 Christmas Tree - 4ft $425 + tax / 7ft $625 + tax / Trees can also be decorated in multicolor. 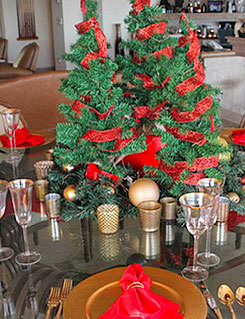 Add some holiday charm to your villa rental. 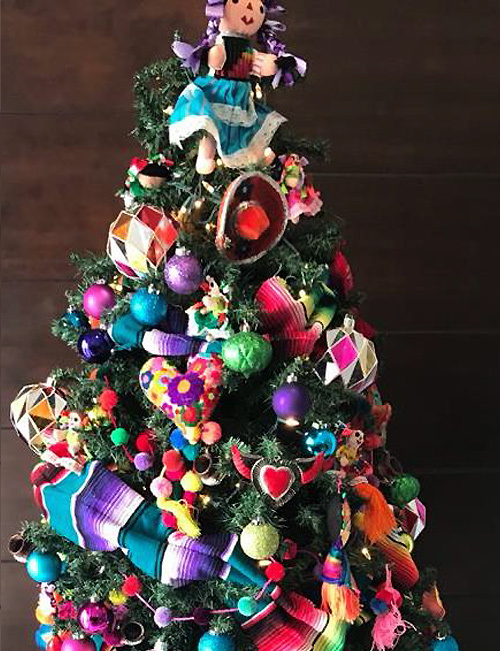 Mexican Tree - 4-5ft $575 + tax / 7ft $895 + tax / Enjoy the magical colors of Mexico with one of these trees decorated in traditional style. 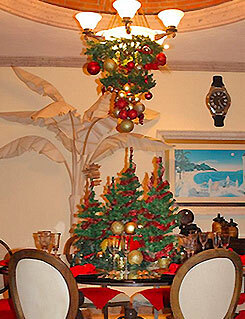 Chandelier + Decor - $250 + tax / Charming traditional decor adds holiday spirit to your villa. 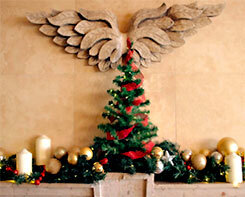 Enjoy a festive fireplace mantle decoration at your villa. 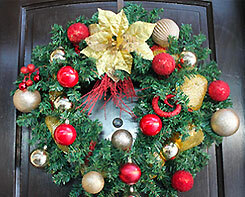 Brighten up the door or other area of your villa. This beautiful combination is charming and classic. Note: Chef and Butler Service prices do not include 16% tax and 15% gratuity. Additional HOA permit fee may be required for entertainment depending upon group size, time of day and other factors. Contact us for info. View Special Event Services Special needs, groups, business meetings, weddings and convention services can be arranged to meet your needs. Get fit in the privacy of your Cabo luxury villa! ModuVated offers an exciting range of fitness classes including bootcamps, yoga, pilates and much more. For experienced, certified and English-speaking babysitters look no further than Baja Babysitting. 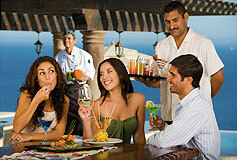 This professional service, established in 2010, caters to tourists in the resorts and homes of Los Cabos day and night. No need to pack all your baby gear for your Los Cabos vacation. 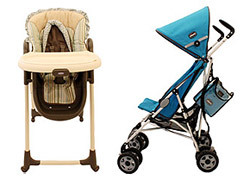 Baja Baby Gear supplies convenient rentals of strollers, play pens, high chairs, exercise toys and so much more!